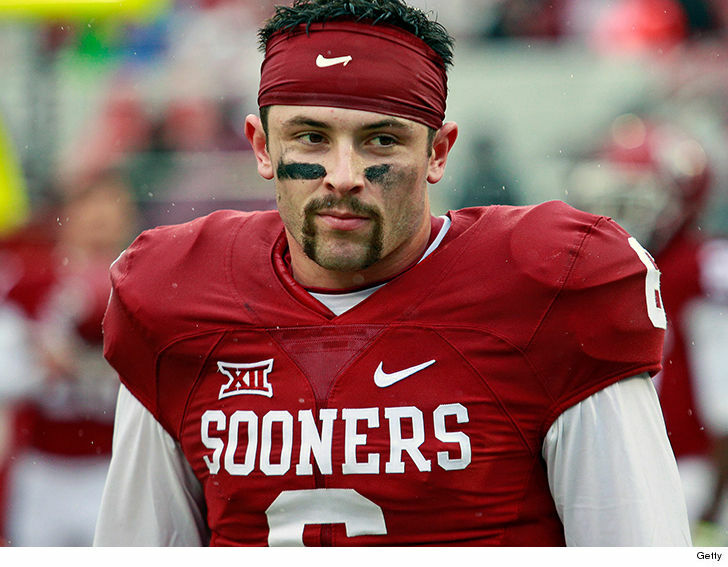 Oklahoma QB Baker Mayfield will NOT start this weekend — and has been stripped of his team captain status — as a result of the junk-grabbing gesture during the Kansas game. Oklahoma head coach Lincoln Riley got super emotional — and had to compose himself to keep from crying — while announcing the punishment moments ago. Mayfield busted out the junk grab as a visual shot at Kansas on Saturday after they refused to shake his hand during the coin toss. Mayfield will not start on Saturday against West Virginia — but he will play. Riley says Mayfield is still just a kid — despite the fact he’s 22 years old — and still has a lot of growing to do as a person.